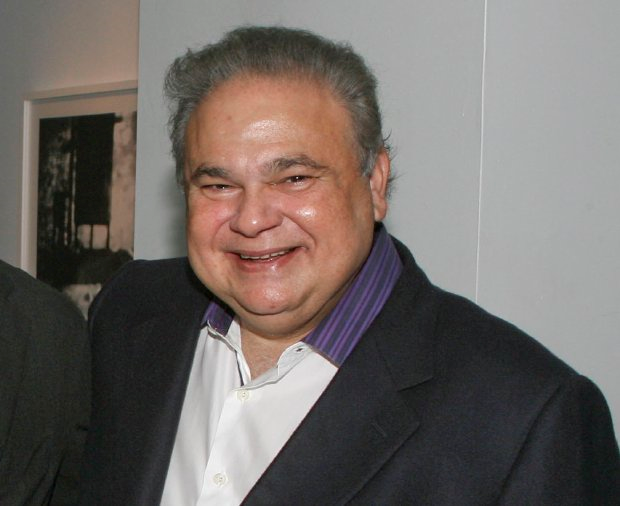 UPDATED: Medicare Paid Salomon Melgen $20.8 Million what did Private Insurance Pay Him? And Why We Should Care. Washington (CNN) Sen. Robert Menendez pleaded not guilty on Thursday to 14 criminal counts against him, including eight counts of bribery in his dealings with Salomon Melgen, a Florida ophthalmologist. During a brief press conference on Wednesday, the senator vehemently asserted his innocence and charged that the prosecutors were the ones who had it wrong. All of this just more evidence that the DOJ doesn’t want to prevent crime but rather encourages it. As pointed out below CMS could have caught on to Melgen’s Medicare abuse in about six minutes by running a report on one single code. I suppose they held off to also include Menendez but let’s not forget the U.S. government paid Melgen almost $21 million in one year. How as that not a red flag? Since the release of the 2012 Medicare Physician Payments we’ve seen the start of the blame game. And let me take a step back. I’ve stated before that with all the good the ACA is trying to do it’s really only addressing one part of the overall healthcare problem. Enter government and private pay insurance. If Florida ophthalmologist Salomon Melgen received $20.8 million from Medicare what did he receive from private pay insurers who can typically pay 5-20% higher* based off the Medicare fee schedule? We should all care and not just about how the government is spending (or in some cases misspending) taxpayer money but in the entire healthcare problem, because it ultimately affects us all. There was a gag order on the data stretched back to 1979, when a Florida court issued a permanent injunction barring the government from releasing information about Medicare payments to individual physicians in any manner that would allow the doctor to be identified. In 2011, the parent company of The Wall Street Journal successfully sued to overturn the injunction as the paper prepared a detailed look at Medicare spending. So we all should be sending The Wall Street Journal thank-you notes! We don’t have enough information to do a Case Study yet on Dr. Melgen but we’ll start to gather what we can to start asking the right questions to get us to all the facts. The question we want to answer is if Medicare paid Dr. Melgen $20.8 million in 2012 did any Private Insurance pay him more than? The Purpose is to understand the facts so that accountability can start to be placed on the correct parties and to help develop tools to prevent it from happening again. Physician payor mix (perentage of private to governmental healthcare plans accepted)*, varies between speciality and region. Every physician does not have to accept the governmental programs but in the case of Dr. Melgen, he did and likely private insurance as well. So for the purpose of explanation we’ll use what we know about Dr. Melgen and apply national statistics to further illustrate a point. When there isn’t transparency we have to make educated assumptions to help us to start asking the right questions. It’s not fact but it helps us reach the facts (eventually). As more facts come in we’ll add it to what we already know. 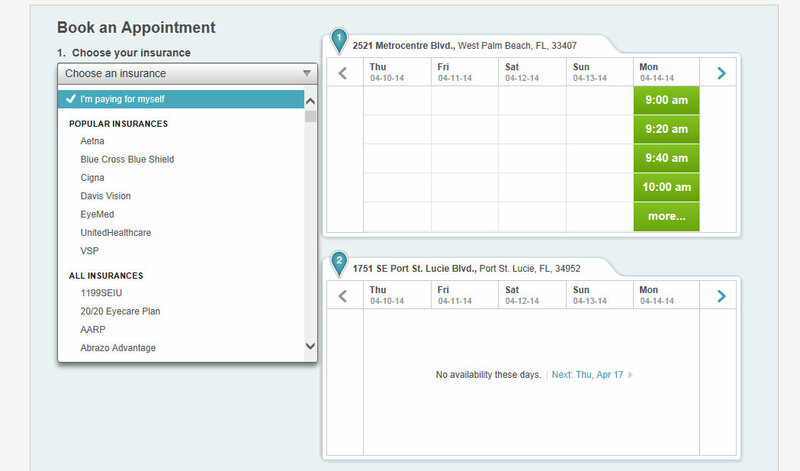 There are four offices in the practice which usually indicates multiple providers in the practice. I cannot find data that suggests he has partners (which might be by design because of the media storm). 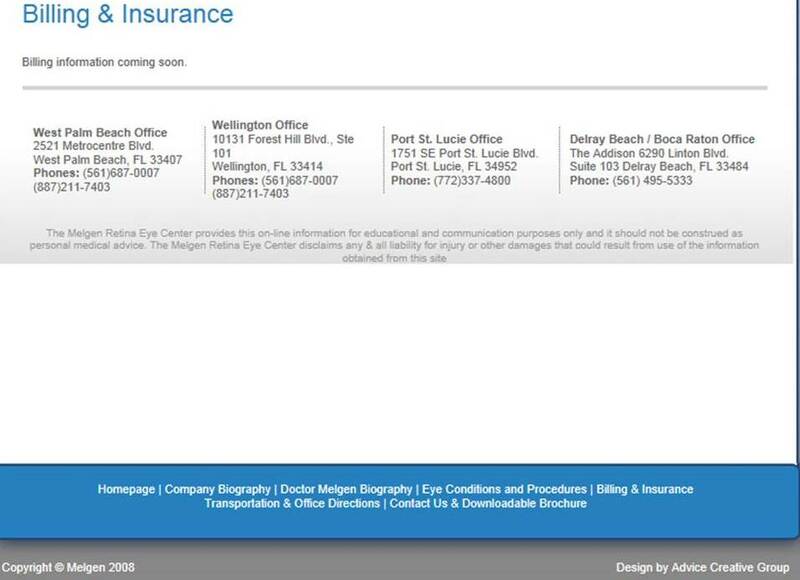 And agian on Zoc Doc when you hit the link to the Melgan Retina Eye Center it shows Dr. Melgan as the only provider. Now we have strong assumptions and some facts. Stay tuned as this case study develops (daily) if not hourly. *Providers have negotiated contracts with private insurance companies where many factors determine the percentage of payment. Examples if a provider is in good standing (not fraudulent and in good standing with the medical board) the payment could be higher. 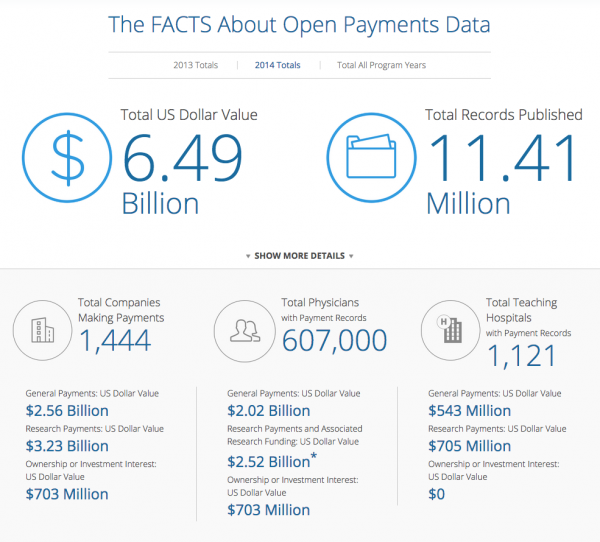 Also, if there are multiple providers in one practice that can increase the payment percentage. It is not uncommon to see 5% below CMS (Medicare and Medicaid) payment for a provider or as much as 20% over CMS pricing depending on factors.